Looking for great deals on marine rope and line? 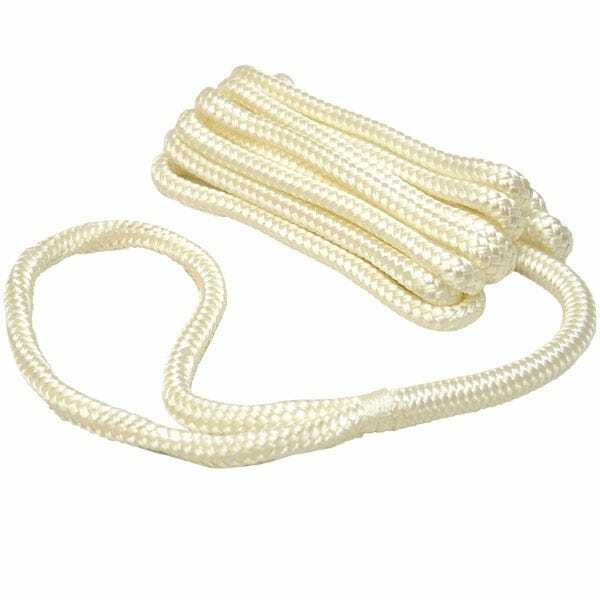 Great Lakes Skipper has amazing discount prices on boat rope and line of all kinds: three-strand twisted line, braided polypropylene rope line, anchor line, braided nylon rope, dock line, boat anchor line assemblies, and more types of rope and line. You can even use our marine rope and line for time-honored sailor's crafts like decorative knots and rope rugs. Originally used on board sailing ships as "chafing gear" to protect decks from damage by running rigging, rope rugs and mats are popular for nautical decorating and gifts.